The last four winners at the Beach – representing four different teams – are Alexander Rossi, James Hinchcliffe, Frenchman Simon Pagenaud and Scott Dixon. They were the first ever wins at the smoggy, supposed track for each driver and part of multi-win seasons for all of them except Hinch. As we all know, Canucks are known to enjoy more inclement, colder conditions. These early season superblooms at the Grand Prix catapulted Pags to a championship and Rossi dangerously close to one last season. Racing at the decades old locale can be sometimes surprisingly sunny, especially considering it’s held on intemperate streets and unforgiving parking lots. Admittedly, the last two Long Beach Grands Prix have been exhibitions in above average street racing, including last year’s “Nose-Cam Slam,” though unfortunately that’s rarely the officially reported measurement. Previous races in 2015 and ’16 were both underwhelming events with little memorable emerging apart from a blatant missed call by race control, who were as usual seemingly lost in the clouds. One question to ponder about this weekend’s forecast is whether Team Penske will bounce back after a couple of lackluster showings in a row. Whinin’ Will Power has won two Grands Prix, but the last was way back in 2012 – before climate change became such a cacophonous cataclysm. 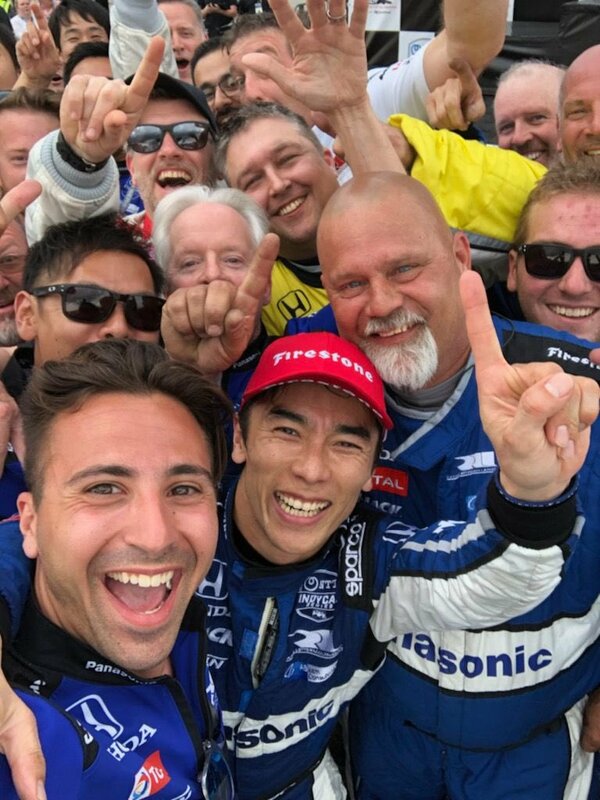 Despite a breezy win at Barber, Rahal Lanigan Letterman Racing’s never enjoyed success at the Beach – although current pilot Takuma Sato did storm to a surprise victory in 2013 for A.J. Foyt Racing. It was that team’s last triumph – and the only one during a seventeen year long drought. No high pressure there! On the bright side, the Grand Prix of Long Beach will be the final race before the series goes home to the Speedway for the mild, flowery month of May. Yippee! That means only a couple more unpleasant street races to endure before they finally return to oval track racing, which for us at IRR is where the sun rises – and also sets. This entry was posted in AJ Foyt Racing, Alexander Rossi, Indianapolis Motor Speedway, IndyCar racing, James Hinchcliffe, Oval Track Racing, Rahal Letterman Lanigan Racing, Ryan Hunter-Reay, Scott Dixon, Simon Pagenaud, Stephanie Abrams, Takuma Sato, Team Penske, Will Power and tagged 2019 season, AGPLB, IndyCar, IRR, irreverent humor by IndyRaceReviewer. Bookmark the permalink.